Have I mentioned I really love warm weather? And family time? Because I do. *Yes, yes, I’ve blathered on about the gorgeous weather way too much, blah blah blah. I'm loving the pattern mixing in this outfit! Those photos are making me miss DC, big time. Your son is just precious, Preethi! So beautiful! The trees and your family! I really want to make it down to DC for the cherry blossoms one spring. Maybe next year. Preethi, I love it! I hope I am as stylish maternity as you are! 🙂 I am 18 weeks and starting to look at cute maternity clothes. I found a cute jean skirt that I love, and it has been fun to pair things with. The cherry blossoms are so beautiful. Oh how I love D.C. I used to live there and I think that I will always miss it. What a perfect family outing and your outfit was adorable. i need that hat – lovin it girl! I'm envious of your delightful vegetable-y lunch and your cute family! 🙂 Glad you had such a delicious and enjoyable day in DC. awesome pictures. when did you guys make it down to the cherry blossoms? i think they are done-zo by now. shucks. We love the photos, especially the one of Nat looking so focused on something far distant from the camera and in a totally different direction. He looks so thoughtful. He's a nice little boy. Are those cucumber sandwiches I spy? Yum! Fabulous photos, I need to see these notorious cherry blossoms in person. Also, you are rocking. that. hat. These are the best photos and you look gorgeous! So impressed by your seamstress skills. 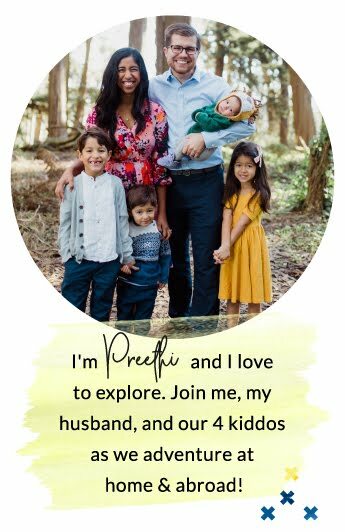 Such pretty pictures of your little family!! The blossoms look beautiful and it looks like you and your family had a really great time! What sweet photos, Preethi! Your family is beautiful and so are those cherry blossoms 🙂 Love that hat on you. Wait! You made that dress? What? Where is the pattern? I need to make one right now!